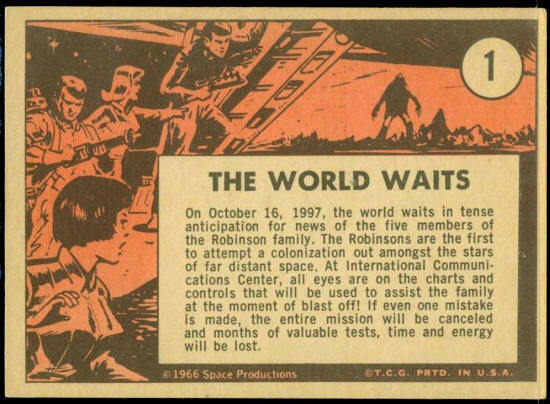 On October 16, 1997, the world waits in tense anticipation for news of the five members of the Robinson family. The Robinsons are the first to attempt a colonization out amongst the stars of far distant space. 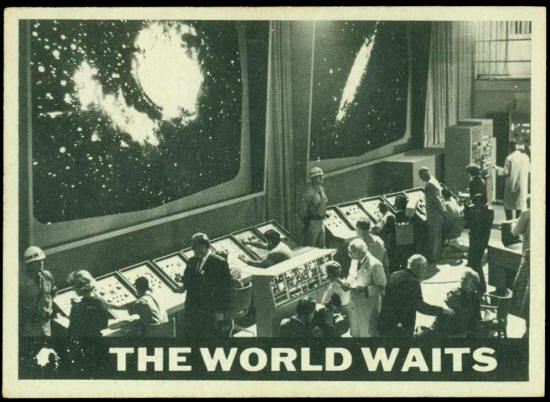 At International Communications Center, all eyes are on the charts and controls that will be used to assist the family at the moment of blast off! If even one mistake is made, the entire mission will be cancelled and months of valuable tests, time and energy will be lost.